If I may, I'm totally in love with my latest design.. but is it the design or the yarn I love so much?! "the Montreal" is named in honor of the home city of Illimani Yarn, a Canadian yarn company specializing in alpaca yarns from Bolivia and Peru. Illimani contacted me asking if I would be interested in working with their yarn.. of course I said yes knowing how good it would be and so they sent this gorgeous alpaca/merino blend.. the yarn "Cadena" (@430 yards total for the Montreal) is amazingly soft and has just the right weight to it to give this piece great movement and drape. I have been wearing "the Montreal" non stop since I finished it! 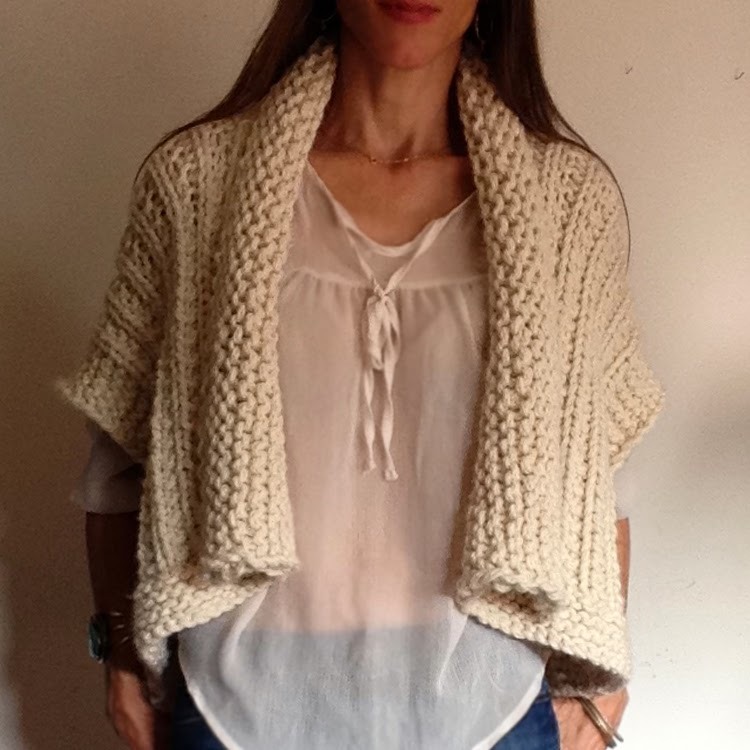 You could easily knit this super simple piece up in a weekend since "Cadena" is a chunky yarn worked on US #17's (US #19's for the collar) in Garter Stitch and a variation of a rib stitch. A crochet version is on my hook and will be out soon! Thanks for another stunning pattern Karen!! 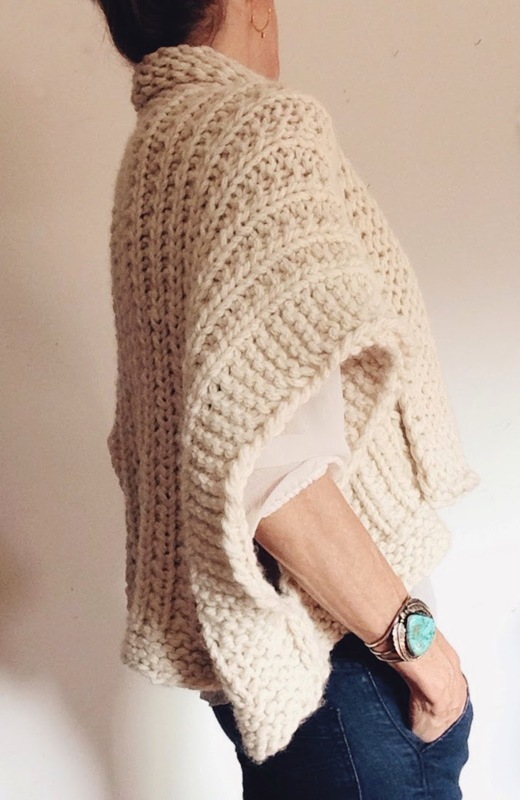 What a beautiful sweater for those cool spring days. I've been looking for my next project and now I found it! ooh, that is SO gorgeous!! And looks buttery soft.